Carriage Doors A Thing of the Past? 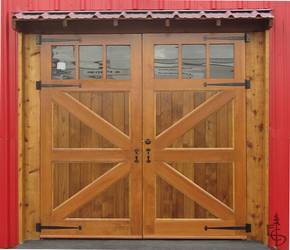 At first glance, old-fashioned carriage house doors that part in the middle seem to be an element of the past. Some of their appeal is directly related to that. We love what seems rooted, of proven character, those things that lend credibility to our new schemes. 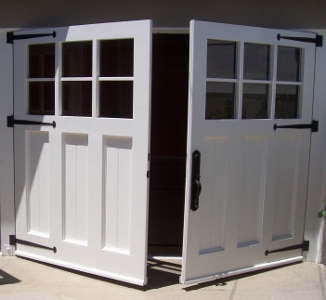 What I hear from people deciding to purchase carriage doors has to do with their future. They want to create a space that will be different; not just same-old same-old. That future may include a family game room where the car used to sit and leak oil on a bare concrete floor. 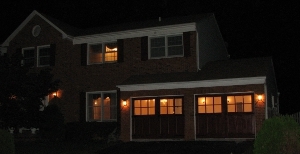 It may include a home business office in the “garage” rather than a newer commuter vehicle to make a daily trip to a remote workplace. The best new inventions advertise with a splash when they debut on the market. They have to build a reputation of expectation – they have no past credibility. 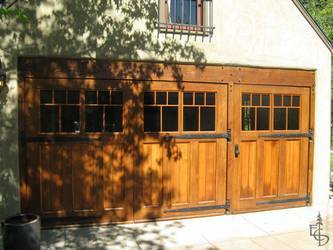 Carriage doors have a history architecturally, and now they are being reborn as a lifestyle solution. Every decision we make is about the future. Even deciding to preserve a historic building aims for a benefit to posterity. 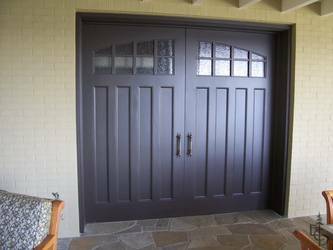 Transforming wasted space by installing tried and true carriage doors from the past is one of the most future-benefiting decisions you can make.